Grenada’s National Swim Team returned to the island on Monday following 3 days to swim competition at the Goodwill Swim Meet held in Barbados from 17-19 August 2018. Under the coaching direction of Damique Walters, the team travelled to Barbados on 16 August in preparation for the competition with 7 other National teams representing Barbados, Bahamas, Jamaica, Guyana, Suriname, St Lucia and Trinidad & Tobago. The 30-member team comprised of mainly first-time competitors who competed in over 80 events held during the three days of competition. The Goodwill meet is a development meet intended to provide an opportunity for swimmers who did not meet the qualifying standards for CARIFTA, CCCAN and other higher meets the chance to compete against their regional counterparts. Although the teams fielded are second tier swimmers from across the region it is a highly competitive and challenging meet with a very high standard of competition. 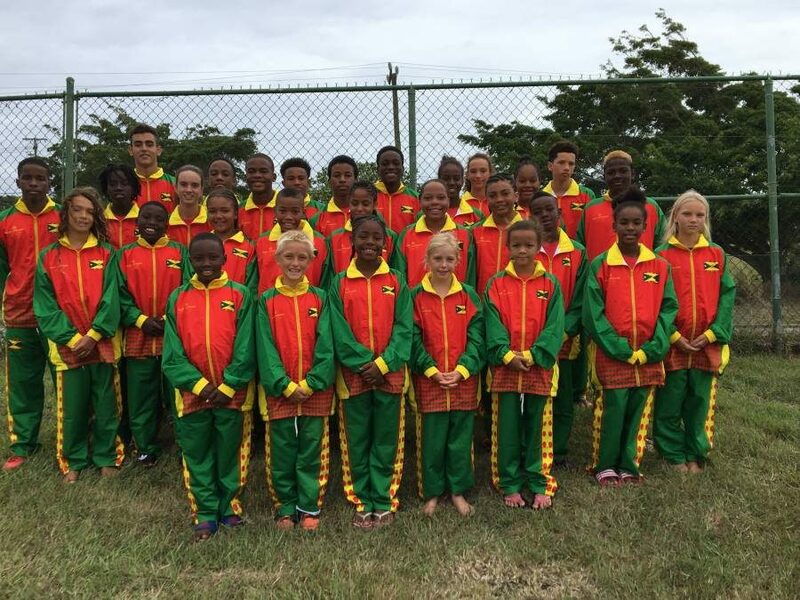 Grenada’s swim squad performed exceptionally well and attained 6 medals overall. 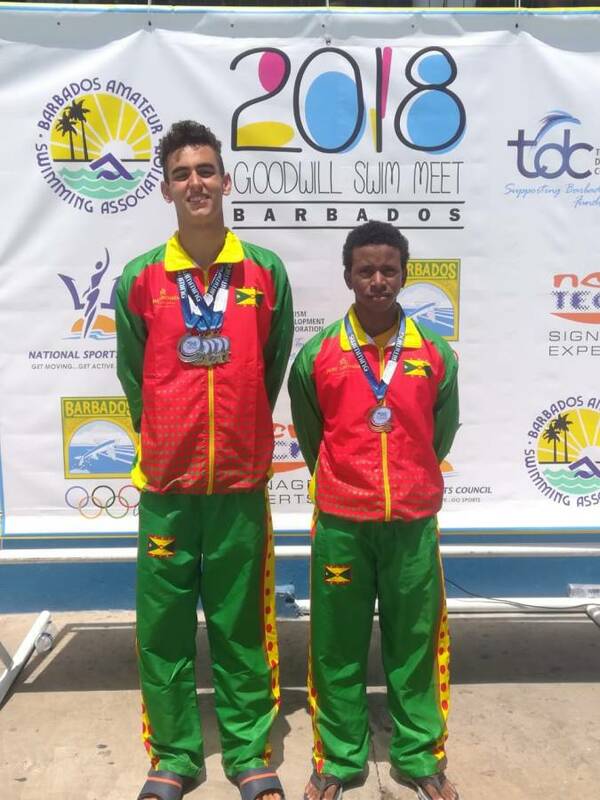 Eli Zerpa from Team Grenada earned the team’s 3 Gold medals in the boys 13-14 200m, 100m and 50m Freestyle. His medal count continued with his Silver medal performance in the 200m Individual Medley and 50 backstrokes events. Thabo Anotine swam away with a Bronze medal in the boys 15-17 50m Butterfly. Antoine additionally had some impressive performances with his 4th place finish in the 100m Backstroke, and 5th place finishes in the 50m and 100m Freestyle events. Other notable performances came from Nathan Fletcher with a 4th place finish in the 11-12 boys 100m Freestyle, while 9-10 year old female swimmer Shelby Neckles had a 5th place performance in the 50m Breaststroke and 3 6th place finishes in the 100m and 200m freestyle and the 100m breaststroke. Tilly Collymore also peaked with a 6th place finish in the 9-10 girls 50m breaststroke. Our first time 8 and under boys also managed to secure a 4th place finish in the medley relay. While our swimmers continue to perform well against their Caribbean counterparts, our team continues to be challenged due to the lack of an appropriate aquatic facility to support the training and development of our future swimmers. This continues to be evident in the technical errors made by our swimmers once competing in larger pools. In many instances, these errors resulted in disqualifications or timing disadvantages, especially on the turns. GASA continues to lobby for the establishment of an aquatic facility to support the continued growth and development of the sport.